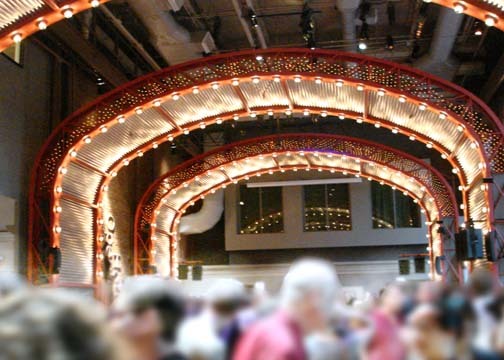 Even the downpouring rain this season could not stop me from missing out on the Good Beer event at BAM! Here are my top 3 food and beer pairings in no specific order-- favorite solo dishes to be published tomorrow. Back Forty and Cascazilla: Yes, it's a coincidence that Back Forty happens to be in the top 3 pairing. What can I say, I love Shanna's cooking. 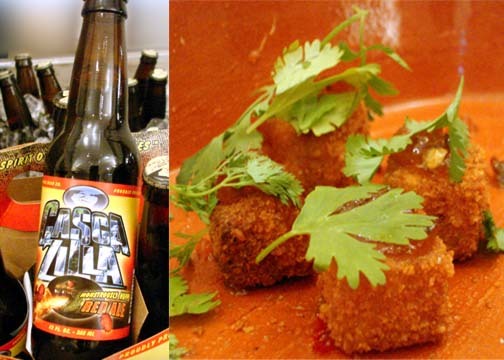 Back Forty's pork jowl nuggets, jalepeno jam, cilantro garnish enhanced the malty sweetness of Cascazilla's American amber beer, and soothed the spice from the jalepeno jam. Cabot Clothbound Chedder with Troegs Beer: Wine and cheese, I get. Beer and cheese??? Amazing! Think of it as-- 'Beer is to milk as milk is to cheese and grapes are to wine'. 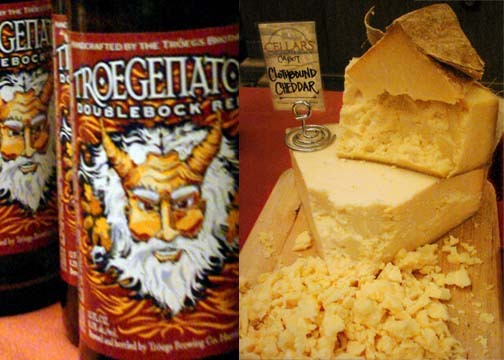 Troegs's dark strong ale aroma melded into the cheddar's buttery flavor with caramel undertones. Both rich in flavor--I had to have a couple extra servings. Beer Table with Gose Beer: Okay, honestly, this hard boiled egg from Beer Table did not look very impressive compared to pulled beef slider, shrimp ceviche, duck curry that other restaurants were serving. How hard is it to boil a damn egg?? 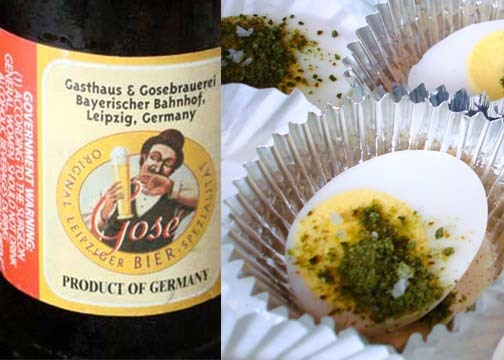 But paired with Gose's tangy and light beer, this simple pickled hard boiled eggs with jalepeno powder and sea salt ($4) shined through.